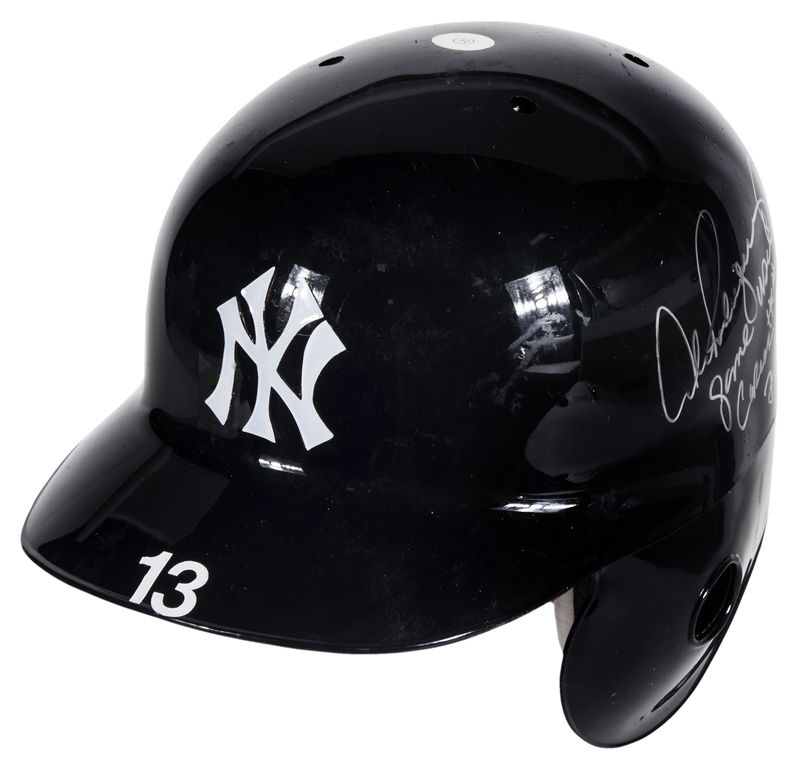 Alex Rodriguez wore this navy New York Yankees batting helmet on July 22nd, 2010. 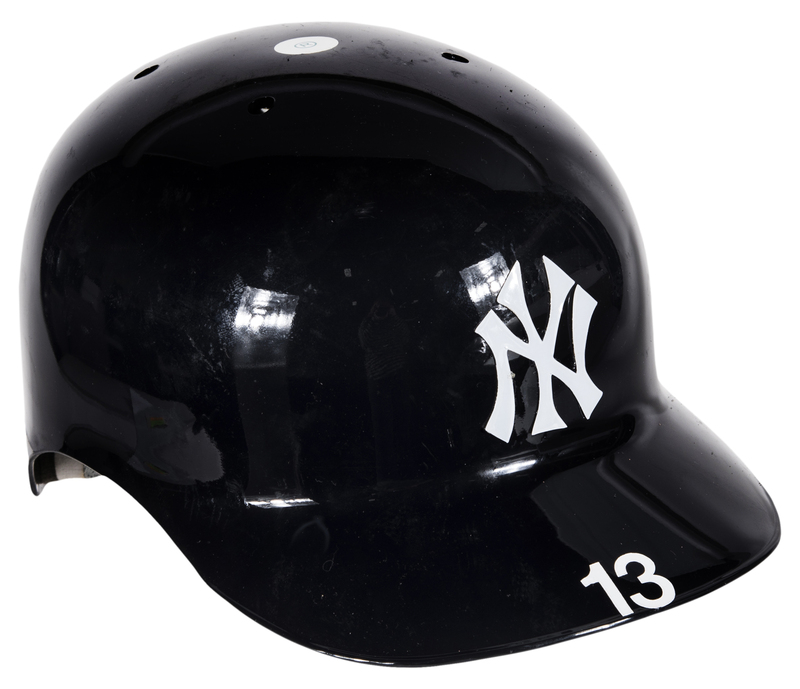 The Yankees defeated the Kansas City Royals 10-4 at Yankee Stadium thanks to Rodriguez’s three hit, four RBI performance. 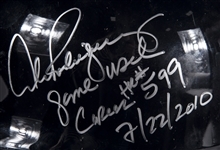 The star third baseman knocked a two RBI ground-rule double in the first inning before collecting his 599th career home run with a solo homer off Rob Tejada in the seventh inning. Rodriguez did his final damage in the bottom of the eighth, plating the Yankees 10th run of the game with his second RBI double of the contest. 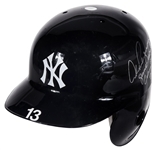 This historic batting helmet is a size 7 ¼, with the Yankees iconic interlocking “NY” logo applied to the front of the helmet in white. 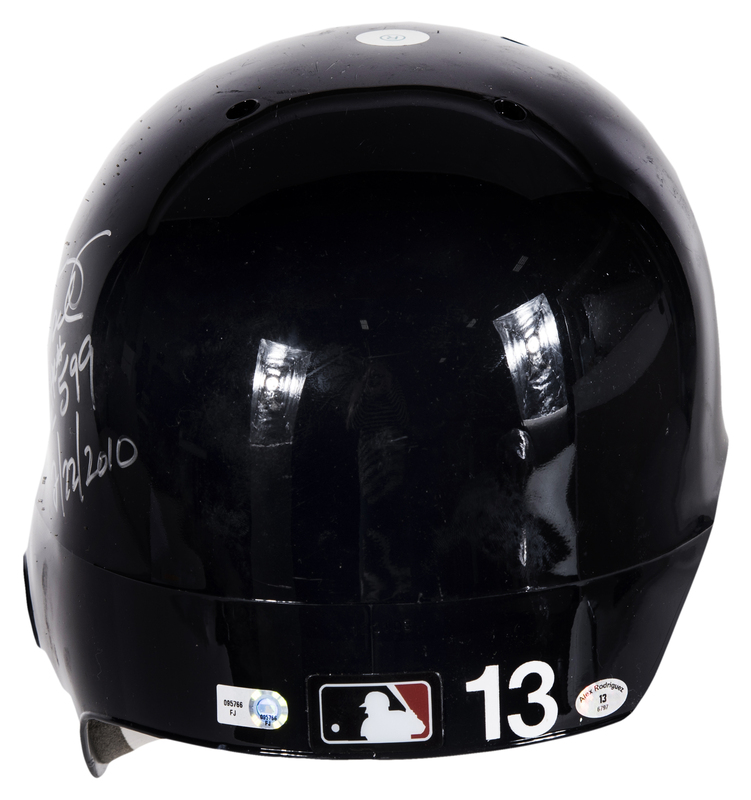 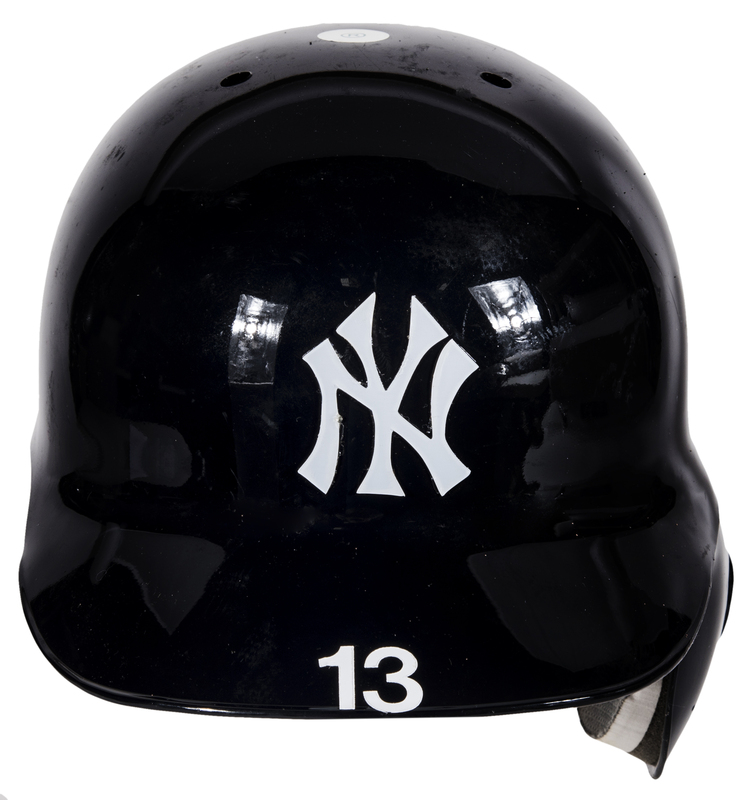 Rodriguez’s number “13” is applied to the brim and the back of the helmet in white, while an MLB logo decal is also applied to the back of the helmet. 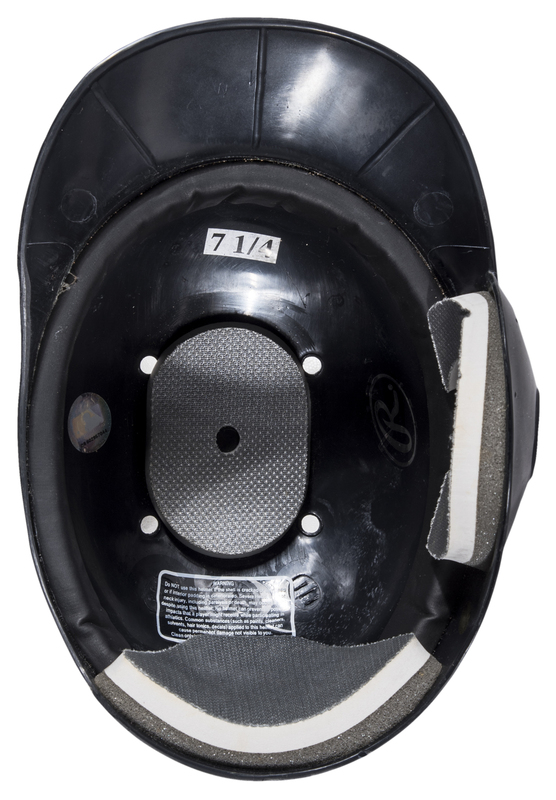 The ear flap is present over the left ear and all the interior padding is intact. 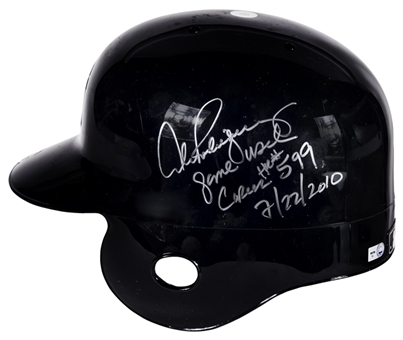 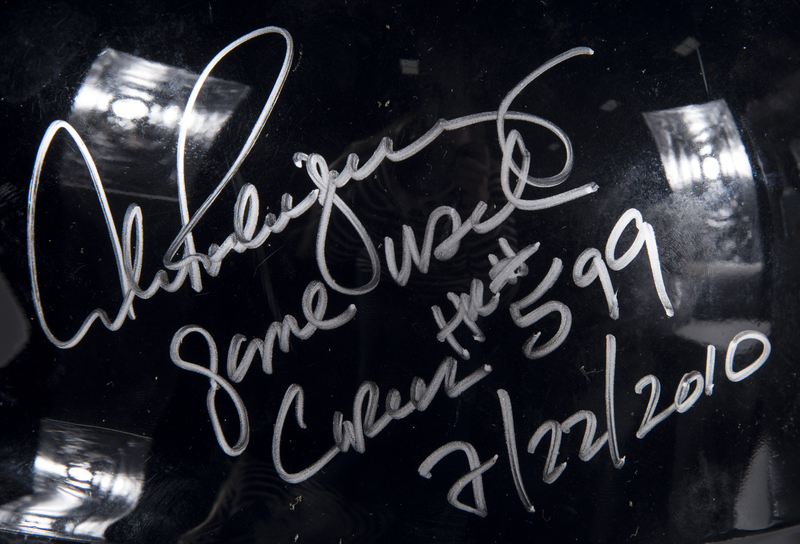 Rodriguez has signed the left side of this helmet in silver marker, inscribing “Game Used Career HR #599 7/22/10” in addition to his signature. 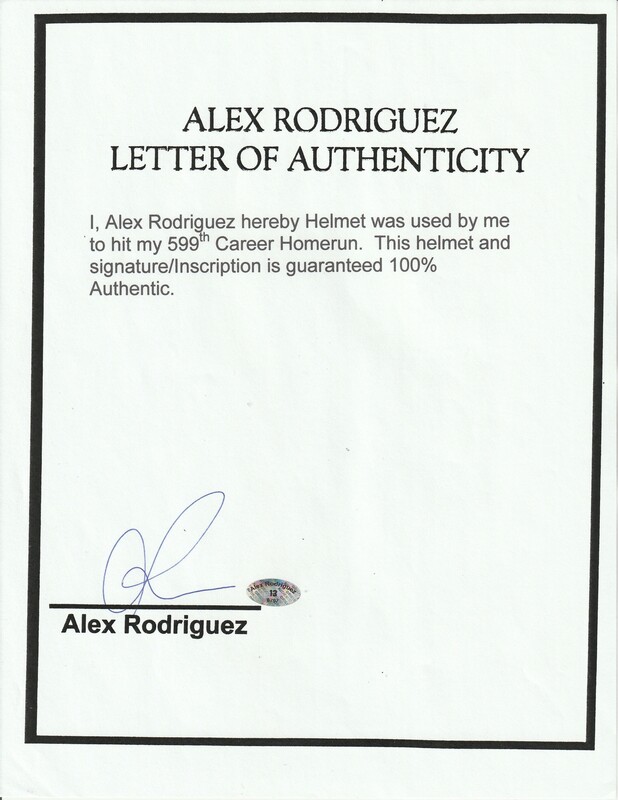 This batting helmet comes with an MLB Authenticated hologram (FJ 095766) and a LOA signed by Alex Rodriguez.